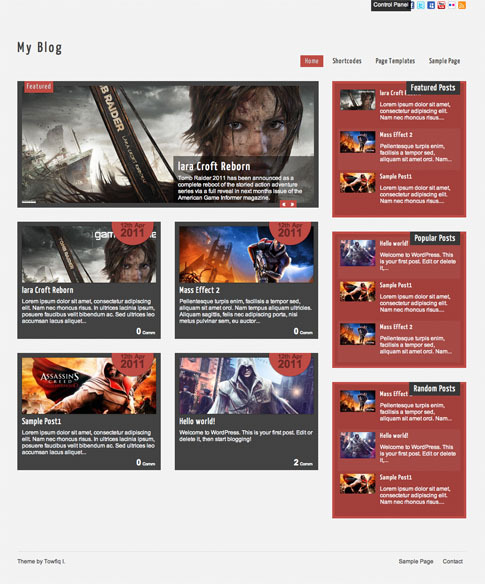 Scylla Lite free WordPress theme is a great template offered up by Towfiq I. The layout of Scylla Lite is similar to that of other grid based themes seen in markets like Theme Forest; however, the beauty of this is that it’s completely free! Why pay for something when you can get extremely close to everything that’s offered in the premium theme market? Scylla Lite free theme features plenty of layouts, shortcodes, and widgets to keep you busy customizing your site until the cows come home. Grab Scylla Lite at the end of the post! One click install — no plugins required!